Nine days ago the thirteenth edition of the Mostra de Mediona* was held: if we think about it twice, we will realise that thirteen years is tremendous. I could write the chronicle of the fair**, but I have long suspected that, judiciously, nobody cares too much about what I drink, and with whom I speak in my spare time. For the umpteenth time, I could also copy those same praises that have been written again and again in a wide diversity of media. But I doubt that this is necessary beyond, of course, congratulating the big family of Ales Agullons for another year, including within it the entire team of people who work with determination to make the Mostra an indisputable success year after year. Instead, I consider more interesting to share some reflections that went round my mind for a good part of the day, and that I take as my main impression of this 2018 edition. A quick search among my articles is enough to quickly find my tendency to observe and write about the evolution of our brewing scene and everything that surrounds it, measuring and analysing its different participants and their evolution and progress. In Mediona, after visiting several brewers in their stands, I saw clear signs of maturity. Maturity in the quality of the beer on offer, since I tasted many and the level was remarkable: a reflection also shared by other attendees with whom I could talk. It is true that experience teaches you to make better choices, but this is also a sign of maturity -in this case, on the consumers part, which is also relevant-. But more revolutionary than the quality, which we have lately been enjoying here regularly and progressively, I observed an exceptional maturity in the variety of the offer. 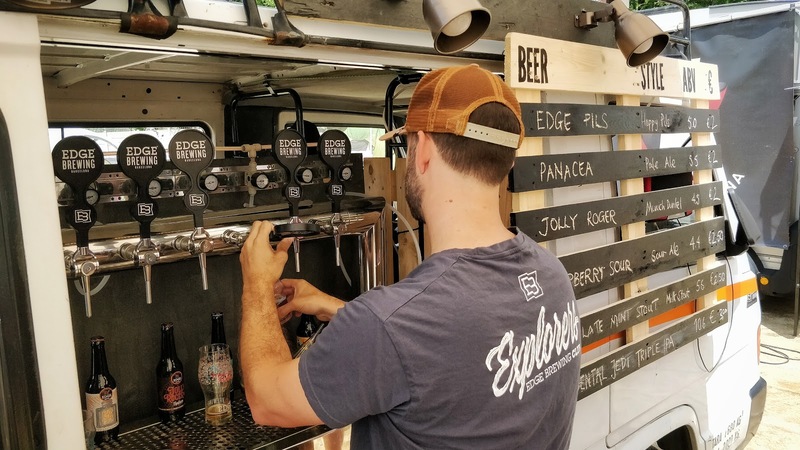 Each following its particular approach, brewers have increasingly focused on the styles that consumers look for, as these have progressively become more knowledgeable and demanding. Something as obvious as non-existent not so many years ago. But the brewers have also focused their efforts on those types of beer that by experience, technique, machinery and ingredients can be done more satisfactorily. In general -and luckily- microbreweries have stopped trying to reproduce certain traditional styles, whose elaboration entails greater difficulty: this is a typical sign of maturity that we did not have some years ago. Please note that I say in general, since there are honorable exceptions. But the offer was also mature in the sense of what was being offered given the context. In June it is reasonable to expect that heat is one of the factors to consider in an outdoor event. The fact that more than half of the beer on offer could be tagged as Pale Ale, Pils or Berliner Weisse responds to the factors mentioned in previous paragraphs -tendency, consumer tastes- but also in part to a good consideration of the circumstances of the event. Proof of this is the average alcohol content of beers in many stands: in previous editions, although not very remote, beer with ABV lower than 6% was unusual in most cases. Thus, a combination between offer adequacy and the 'session phenomenon', which has made people more aware of the alcohol content in some beers and has forced brewers to enhance the flavour by other means, allowed me to reach the end of the day easily sober, despite the fact that the accumulated intake of the whole day was remarkable. Year after year, Mediona takes us back to origins. 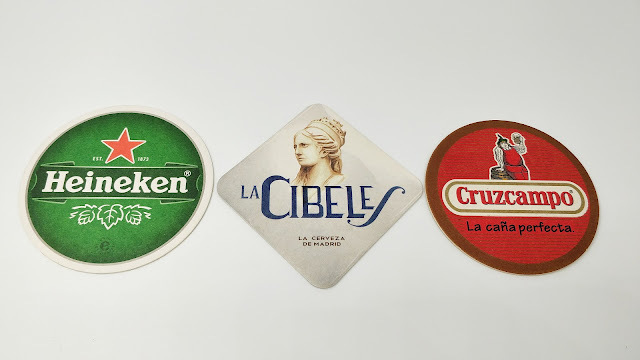 But under the hot sun that has fallen in most of its thirteen editions we witnessed how the brewing scene has been maturing: little by little but properly, taking care of its precious fruit so that it gets closer to the optimum point. Which allows us to reap greater joys every year. 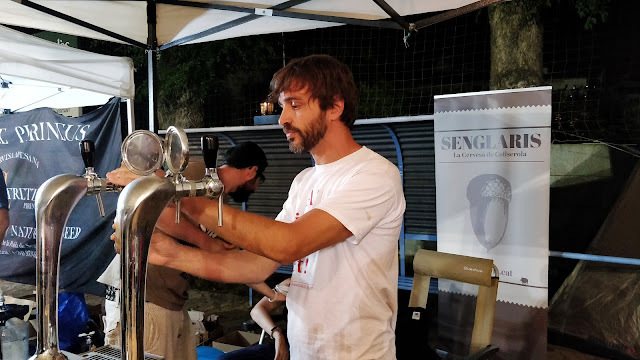 * The second oldest beer fair in Catalonia, regarded by most as the best and more authentic. Believe me, it's a trip you won't regret. 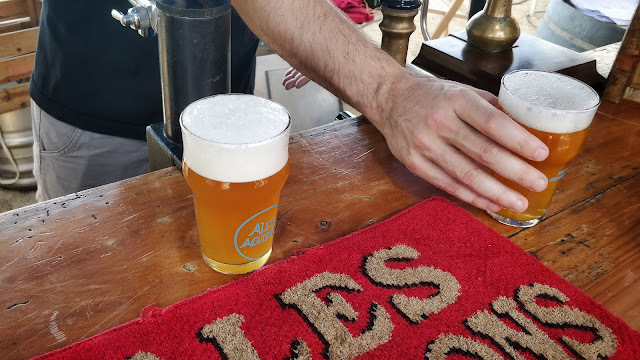 ** Note that we locally make the difference between beer fair and beer festivals, depending on whether the beer is served by its brewer -fair- or the staff of the event -festival-.